Are You Conscious, and Can You Prove It? Don’t Stretch That Pacemaker Arm! Shut Off That Heater (or Air Conditioning) Unit! What Makes Suicide Bombers Tick? Sid Deutsch has written science essays for the intelligent layperson and has published a book entitled Einstein’s Greatest Mistake: Abandonment of the Aether. 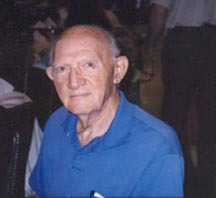 In Memorium: Sid Deutsch died January 8, 2011. Sid Deutsch writes:I have a B.E.E. degree from Cooper Union (New York), 1941, and a Ph.D. in Electrical Engineering from the Polytechnic Institute (Brooklyn, New York), 1955. I was associated with four schools (Polytechnic Institute, Rutgers University, Tel-Aviv University, and the University of South Florida at Tampa). Along the way, I wrote or co-authored eight science books, the latest of which is Einstein’s Greatest Mistake: Abandonment of the Aether, iUniverse, 2006. Before that was Are You Conscious, and Can You Prove It?, iUniverse, 2003. The books before that were Return of the Ether, SciTech Publishing, 1999 andUnderstanding the Nervous System with co-author Alice Deutsch, IEEE Press, 1993. All of us, in the world of Engineering, Physics, or Mathematics, occasionally have ideas that we think should be published. But a report in a recognized journal can entail, at the very least, many months or even years between submission and publication. I was an Associate Editor for an IEEE publication for six years, and tried to speed up my end of the review procedure, but the overall effect was minuscule. Occasionally, an author would die while his/her paper was being processed. So now a relatively new technology, a website, enables me to “publish” Science Essays that have escaped, for the most part, peer review. Nevertheless, I trust that the reader will resonate, here and there, with one or more of the ideas expressed on this website.